Iowa Fraud Probe Ends: Another Learning Opportunity? Iowa Division of Criminal Investigation Special Agent Adam DeCamp said Monday that the probe aimed at identifying and prosecuting fraudulent Iowa voters ended Feb. 13, roughly 20 months after it began. Since September, when DeCamp took over as the lead investigator, the effort has scrutinized 245 individual voters. Of those, more than 80 have been referred to county attorneys for possible prosecution. Prosecutors will decide whether to bring charges based on the evidence provided by the DCI. Since the investigation began in July 2012, five cases have resulted in guilty pleas. Fifteen are pending before courts across the state, DeCamp said. A Des Moines Register investigation into the five guilty pleas last December revealed they generally involved voters who didn’t intentionally violate state election laws. Schultz has long defended the investigation, pointing to the handful of convictions as proof that voter fraud does indeed exist in Iowa, and to the more recent revelation of instances in which eligible voters were denied their right to vote. The disenfranchisement of eligible voters would not have been discovered if not for the investigation, he has said. Schultz has been sharply criticized by Democrats and some civil liberties and voting rights groups, however, who say the five guilty pleas underscore the insignificance of voter fraud. They accuse his office of misusing resources for political gain. All that aside, however, the wrap-up of the investigation suggests that we could get another fact-intensive window into the types of problems that can occur in election administration. Schultz’s office is planning to release a report, which in the best case scenario would present an opportunity ot look more closely at the operation of election laws and procedures like we saw in Ohio last year following the statewide review initiated by Secretary of State Jon Husted. The problems highlighted there – albeit with colorful fact patterns like motor home owners and cops using a work address for voter registration – were a valuable lens on the kinds of problems that arise in the actual application of election rules by real people in the real world. Here’s hoping that the Iowa probe can generate something similarly useful as part of the value for the money spent (with HAVA funds) on the investigation. It will certainly give the candidates seeking to replace Schultz something to discuss on the campaign trail. Who knew that Iowa – not usually a state where you expect high drama – could be so interesting? 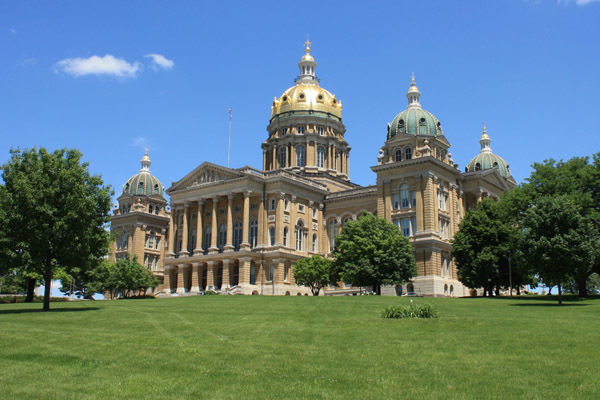 Be the first to comment on "Iowa Fraud Probe Ends: Another Learning Opportunity?"